At Schwab Realty, we’re so excited that spring is here. It’s been a rainy, rainy winter in most of the Pacific Northwest. In fact, Seattle even broke a 122-year-old record for the most rainfall seen in a year! In Sequim, though, things are staying comparatively dry. With May just around the corner, we know warmer, sunnier spring days are on their way for everyone, and we can’t wait for what will no doubt be another busy outdoor season. No matter the time of year, there’s plenty to do in Sequim, and that is one of the best parts about living here. 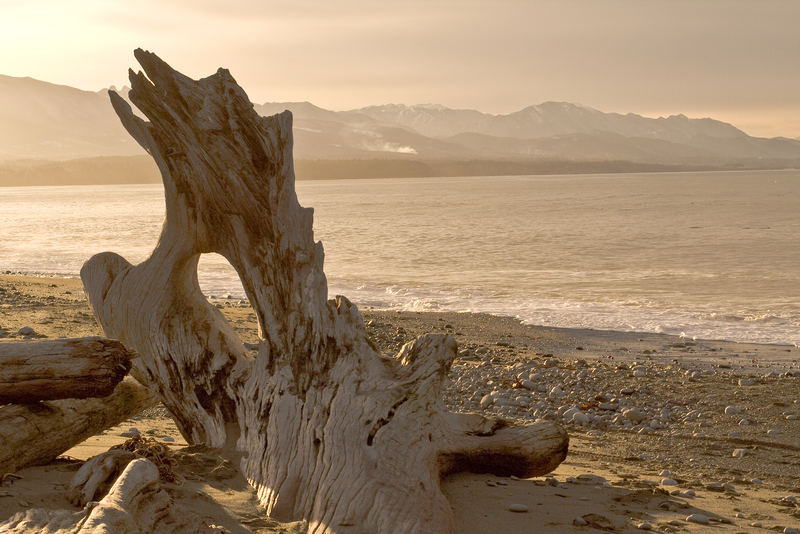 One of our favorite activities is beach combing along Sequim’s waterfront. The best place for a beach walk is the Dungeness Spit and Wildlife Refuge. Come explore this beautiful stretch of beach with us this spring! 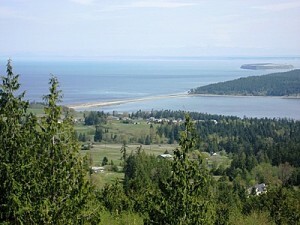 The Dungeness Spit is the longest natural sand spit in the United States, and is visible from many of the mountain peaks of the Olympic Mountain Range. In 1915, the Dungeness Spit was named a Department of Agriculture wild bird reservation. Today, the Dungeness National Wildlife Refuge is managed by the U.S. Fish and Wildlife Service, and remains a protected stretch of beach that is accessible to the public. Visitors will enjoy a one-mile long scenic bluff trail on their way to the beach. Along the way, there are scenic overlooks, from which it is possible to see Port Angeles to the west and Mt. Baker to the east, as well as a panoramic view of the Olympic Mountains. Once down on the beach, you’ll find a unique and pristine wildlife habitat. The varied habitats of the Dungeness Spit are a safe harbor for over 250 species of birds, 41 species of land mammals and eight species of water mammals, many of which are protected species themselves. Blue Herons, eagles, loons, grebes, murrelets, puffins, harlequin ducks, scaup and black brant are just a few of the species you’re likely to spot here, though there are often more that visit. It’s a true birdwatching or nature lovers paradise. Along the outer stretches of beach and amongst the driftwood, you’re likely to find harbor seals basking in the sun on any given day, and plenty of treasures lie along the sandy shores just awaiting their discovery. The 5.5 mile walk to the Dungeness Lighthouse is worth the journey. The lighthouse is located at the tip of the Dungeness Spit, and is the oldest lighthouse in continuous service north of the Columbia River. The Dungeness Lighthouse no longer has a permanent keeper, but it has been kept in operation by a group of volunteers who serve in one-week shifts. Being a volunteer keeper is a popular activity for Sequim locals and tourists alike, and the wait list for the opportunity can be long. Tours of the Lighthouse are open to the public. The charming, sunny town of Sequim is a special place to live, where idyllic trips to the beach are part of the every day fabric of life. If you’re looking to make a move, contact one of our local Sequim Real Estate Agents for more information. With their extensive knowledge about the area and the homes for sale, you’re in good hands.